MOTORHEAD - AFTERSHOCK VINYL (LP BLACK) | Online Shop | Wizard LTD. 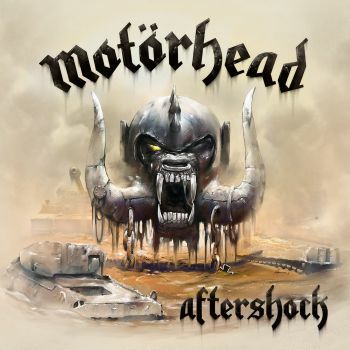 Album: "AFTERSHOCK VINYL (LP BLACK)"
Motorhead delivers their 21st studio album, an enormous and prophetic Aftershock. Recorded at NRG Studios in North Hollywood, it is a true leveler, a crushing confirmation of everything Motorhead stands for, marching from the dust storm to deliver 14 belting statements which see Motorhead in perhaps their best writing form for years. There&apos;s swagger, there&apos;s punch, there&apos;s speed and there&apos;s dirty filthy grooves, Lemmy Kilmister, Phil Campbell and Mikkey Dee showing clearly that Motorhead is not simply a band, it&apos;s a genre!